Banyan Young Adult Historical Fiction now available in paperback & ebook! 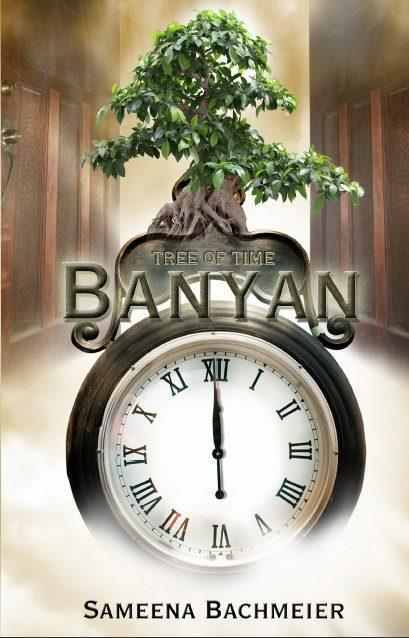 “Banyan” by Sameena Bachmeier is historical fiction on another level, Inviting, informative, and captivating ..
~Wishing for a change in the future can sometimes take you through a journey of the past~ Kannie Irnest had the picture perfect life as a child until her father left her and her mother alone. It wasn’t long before the world as she knew it began unraveling and creating a web of misery around her. Her mother was no longer the loving mother she knew. Bitter and lonely, Kannie sank into a depression. The only joy Kannie seemed to find was with her friend Kristopher. They were like two peas in a pod since a young age and when they were together it was as if the world around them didn’t matter. Mysteriously, one day on Kannie’s way to school, she is given a Banyan tree stick. She learns that it is a wishing stick. Although skeptical, Kannie is desperate to experience a happy life and she wishes on the Banyan stick to be anywhere but in that moment in her life. She awakens everyday thereafter to a different historical event that exposes her to experiences, places and people she had only read about in books. From the Salem Witch trials, to being aboard the infamous Britannic, to taking flight upon the Apollo 11, each journey she embarks on teaches her to believe in herself, forgive others and appreciate the path that lies in front of her. She also now, must embark on her greatest venture yet, finding her way back home.